Tomorrow 4/19 marks the commencement of the 2011 Rip Curl Pro Bells Beach presented by Ford Ranger and Ford Fiesta and the 50th Anniversary of competitive surfing at Bells. The world’s best surfers have descended on the small Victorian town of Torquay for the second stop on the 2011 ASP World Title season. Kelly Slater (USA), 39, reigning 10-time ASP World Champion and defending four-time Rip Curl Pro Bells Beach winner, celebrated the historic spirit of the event at today’s press conference, recounting his childhood memories of Bells. Slater responded to queries regarding his campaign for an 11th ASP World Title in characteristic fashion. “If I wasn’t hungry to win an 11th ASP World Title, then I wouldn’t be here,” Slater said. Slater will take on Kai Otton (AUS), 31, and Championship Moves Trials winner Adam Robertson in Round 1 of competition. Stephanie Gilmore (AUS), 23, reigning four-time ASP Women’s World Champion and defending three-time Rip Curl Women’s Bells Beach winner, who opened the 2011 season with an uncharacteristic Quarterfinal loss at the Roxy Pro Gold Coast, knows she’s got a challenge on her hands for the 2011 ASP Women’s World Title. Gilmore will face Courtney Conlogue (AUS), 18, and Alana Blanchard (HAW), 20, in the opening round of competition. 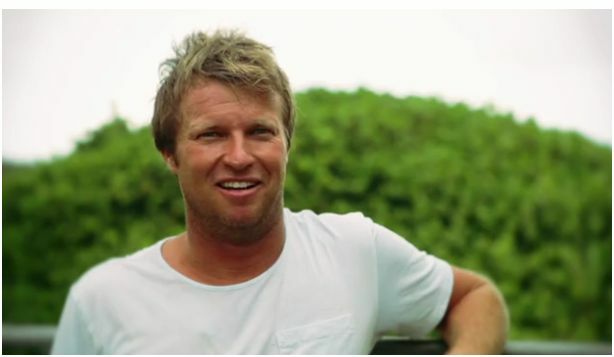 Taj Burrow (AUS), 32, current No. 2 in the hunt for the 2011 ASP World Title, rang the Bell in 2007, and after finishing Runner-Up at the Quiksilver Pro Gold Coast, is one of the favourites heading into this event. Burrow will battle Adam Melling (AUS), 26, and Josh Kerr (AUS), 27, in the opening round of competition. Owen Wright (AUS), 21, 2010 ASP Rookie of the Year, is hoping to be the first goofy-footer to win the Rip Curl Pro Bells since Mark Occhilupo back in 1998. Wright will take on Heitor Alves (BRA), 29, and Bobby Martinez (USA), 28, in his Round 1 match at the Rip Curl Pro Bells Beach. Owen’s sister and current No. 2 in the ASP Women’s World Title Race Tyler Wright (AUS), 17, may be a rookie on tour, but she knows Bells better than most. Wright will face Coco Ho (HAW), 19, and Pauline Ado (FRA), 19, in the opening round of competition. Coastalwatch, official surf forecasters for the Rip Curl Pro Bells Beach, are calling for a new 3-4 foot groundswell with clean mostly offshore to begin building on Wednesday. On Thursday, a stronger building trend with wave heights increasing throughout the day before peaking at 4-6 foot on Friday, gradually easing off into the weekend, but still 3-5 foot surf until mid-next week. Running in conjunction with the women’s event, the ASP Top 34 will contest the Rip Curl Pro presented by Ford Ranger. Stay tuned for results & highlights of the event.